Since its establishment in 1992 the Topography of Terror Foundation has produced several special and temporary exhibitions that were presented in Germany and abroad to great acclaim. The exhibition shows the extent to which the Reich Ministry of Labour supported the Nazi dictatorship. Portrayed until now as having had little influence, the ministry participated in the discrimination against particular sections of the population and played a major role in organising the deployment of forced labour. The impact of labour and welfare policy on people both within the German Reich and in the German-occupied territories is illustrated through case studies. Biographies of civil servants working at the Reich Ministry of Labour highlight their individual scope for action during the Nazi period. The exhibition is based on the findings of the Independent Commission of Historians set up in 2013 to research the history of the Reich Ministry of Labour during the Nazi era. A German-English publication accompanies the exhibition. Eighty years after the German state and the Nazi Party waged a terror campaign against Jews in November 1938, the exhibition “Kristallnacht” retraces the events of that time. The show looks at two main topics: first, historical photo series from six locations that spotlight specific crimes – the burning of synagogues, smashing of shop windows and destruction of religious objects, and humiliation and detention of Jews – and on the other hand, for the first time, the different ways these anti-Jewish attacks, or pogroms, have been remembered since 1945. The choice of the title “Kristallnacht” signals the exhibition’s emphasis on the commemorative history. A joint exhibition of the Foundations Memorial to the Murdered Jews of Europe and Topography of Terror. A German-English publication of the same title accompanies the exhibition. The People's Court was created by the Nazis in 1934 to combat "enemies of the state". This new political supreme court tried over 16,700 people until the end of the Second World War. From 1942 onwards, half of all the defendants received the death sentence. The exhibition describes the establishment and organisation of the Court, illustrates its practice of judgement with individual examples, and discusses how former staff of the Court were dealt with after 1945. To mark the 80th anniversary of the Nazi ”takeover of power,” the Topography of Terror Foundation is showing the temporary exhibition ”Berlin 1933 – The Path to Dictatorship.” In pictures and documents, it highlights the key stages in the establishment of Nazi rule during the first six months of the Third Reich in the historical setting of Berlin. It also focuses on the fate of the early victims of Nazi terror in Berlin. The number of political opponents and others murdered by the Nazis in 1933 has been inadequately researched thus far. For that reason, representative biographies and a compilation of the names of early victims of Nazi terror in Berlin with brief biographical data the spatial and thematic constitute the core of the presentation. There is a German-English bilingual catalogue accompanying the exhibition. "Aktion Reinhardt" was the code name of the SS for the planned mass murder of the Polish Jews. The mass murder took place in the extermination camps Bełżec, Sobibór and Treblinka between spring 1942 and autumn 1943. Up to 1.9 million Jews from Poland and other parts of Europe as well as numerous Roma and Romnija were murdered, most of them asphyxiated with exhaust fumes from motor engines. The exhibition was created in 2013 by the State Museum Majdanek on the occasion of the 70th anniversary of "Aktion Reinhardt". It was the rural population that held the ”racial” future of the German Volk according to R. Walther Darré, Reich Minister for Food and Agriculture. In various publications he propagated the blood-and-soil ideology that placed the peasants at its center, regarding them as suited for ”species-appropriate” reproduction. Requiring a positive image for identification, Darré founded the Reich School Burg Neuhaus to popularize this concept. The young people from the peasantry recruited for the institution matched the ideal of the ”Nordic race.” Darré commissioned the Viennese photographer Anna Koppitz and the Berlin sports photographer Hanns Spudich to take pictures of the Reich School’s trainees, which he used to illustrate an endless number of propaganda publications. The exhibition explores the use of these images in books, newspapers, and magazines of the time that were published by Darré, his publishing house, or within his sphere. The material shows a methodical endeavor to create a visual language, made possible by the close collaboration between Darré, Koppitz, and Spudich. 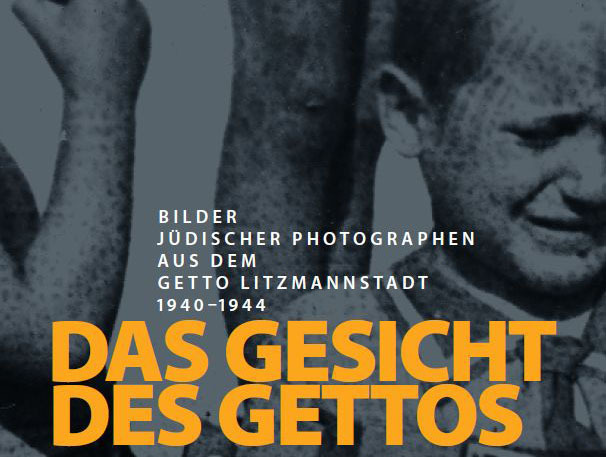 The case study offers insights into the ways of which a chief Nazi ideologue used photography as an instrument for underpinning and disseminating his theses. An English publication accompanies the exhibition. The Exhibition broaches the issue of 1938, which marked a culmination in the violence and terror that had accompanied the National Socialist regime since its beginnings in 1933. With the ”Anschluss” (annexation) of Austria in March 1938 and the carve-up of Czechoslovakia from that autumn, Nazi Germany began to destroy the borders established as a result of the First World War. ”Operation Workshy” during the summer, the expulsion of thousands of Polish Jews in October and the state-organised violence on and around 9 November 1938 heralded a new phase in the National Socialist policy against Jews and anyone not belonging to the ”Volksgemeinschaft” (national community). The German invasion of Poland on 1 September of the following year triggered the outbreak of World War Two. The exhibition presents examples demonstrating the difficulties of establishing monuments and memorial sites for the Nazi crimes in West Berlin, thereby focussing on the so-called perpetrator sites. It also shows individuals and initiatives that played an important role in the city’s effort to confront its National Socialist past. Their stories are an essential part of West Germany's culture of remembrance and they make clear that the process of confronting the past is far from over. A joint exhibition of the Topography of Terror Foundation and the German Resistance Memorial Center. What was the Nazis’ position on religion and the church—and specifically on Martin Luther? How did Christians in Germany during the Nazi period deal with the reformer and his ”legacy”? And how did the relationship between church and state evolve during those twelve years? These questions are explored in the exhibition. While 1933 saw celebrations marking Luther’s 450th birthday, it also saw conflicts between the ”Confessing Church” and the ”German Christians.” References to Luther’s late anti-Jewish works increased markedly in the period up to 1938. Also during the Second World War, Luther was ”claimed” by various players: some to justify the war—others to back up their right to resist this unjust regime. A joint exhibition of the Topography of Terror Foundation and the Foundation Memorial to the Murdered Jews of Europe. Between 1941 and 1944, members of the SS and Wehrmacht, German police and local volunteer forces murdered over two million Jews, 30.000 Roma, and 17.000 psychiatric patients in the Soviet Union. The victims were either shot or asphyxiated in so-called gas vans. This exhibition uses historical documents and photographs to describe the history of this mass murder and the ways in which it has been confronted since 1945. For the first time, the full extent of the murders can be seen on a map pinpointing where they took place. Visitors can read and listen to detailed accounts of what happened in cities including Kiev and Riga. Central to the exhibition are five photographs documenting the murder of around 1,500 men, women and children in Mizocz, eastern Poland (now Ukraine) on 14 October 1942. This section explains the stages leading to the destruction of Jewish communities and the interplay between the National Socialist leadership in Berlin and officials based in occupied Eastern Europe. The exhibition suggests what may have motivated German men to participate in the mass murder. In addition, a series of close-up photographs of survivors along with accompanying interviews encourage visitors to consider the events from the perspective of those who were persecuted. Freestanding pillars displaying information about individual victims serve to commemorate the various groups targeted by the German policy of mass murder. Stolpersteine (stumbling stones) is a project of the artist Gunter Demnig. The project commemorates people who were persecuted by the Nazis between 1933 and 1945. Stolpersteine are being realized for Jews, Sinti and Roma, people from the political or religious resistance, victims of the ”euthanasia”; murders, homosexuals, Jehovahs Witnesses and for people who were persecuted for being declared to be ”asocial”.The concrete blocks measuring 10x10cm and are laid into the pavement in front of the last voluntarily chosen places of residence of the victims of the Nazis. Their names and fate are engraved into a brass plate on the top of each Stolperstein. For more than 20 years they have been part of the urban image of Berlin. Thus, the exhibition wants to introduce the often unknown groundwork and manifold facets of this European art and remembrance project. Those participating in the origination process as well as those later walking by are presented as part of this social sculpture. The exhibition was developed in the context of a research project related to the correlation between space and movement at the TU Braunschweig and the TH Köln. The buildings and projects on the former Nazi Party Rally Grounds in Nuremberg belong to the best known architectural propaganda of the Nazi era. Those were aimed at arousing emotions that would be used for political and ideological purpose by mobilizing the masses. The exhibition investigated the architectural means and extensive events that have helped achieving this emotionalization. Historic photographs, march plans and architectural models temporally and spatially reconstructed the military organized mass rituals. The visual center of the exhibition was formed by a large urban model representing the Nazi Party Rally Grounds with the plans of architect Albert Speer. The model showed the latest version of the design planning of 1935. The Face of the Ghetto. A few Jewish photographers, commissioned by the Litzmannstadt “Jewish Council,” took thousands of photographs of almost every aspect of ghetto life. Nearly 12,000 contact prints have survived and are currently held in the Lodz state archive. Fifty large-scale photographs from the Litzmannstadt Ghetto – the name given to Lodz by the German occupiers in 1940 – are shown in the exhibition. The exhibition is accompanied by statements from former residents of the ghetto and entries from the ghetto chronicle. A short overview of the ghetto’s history, a description of the photography as an historic source and information about the photographers provide an introduction into the exhibition. By January 1945, with the failure of the last major German offensive in the Ardennes, it was clear to everybody that Germany had lost the war it had begun in 1939. But instead of surrendering, Hitler’s government continued fighting the war. It deliberately calculated on the death of countless people and the total destruction of its own country. Stepping up the massive terror campaign against its own population and groups that were already being persecuted, it tried to prevent the collapse of order inside the country and to mobilise all remaining reserves for the war. In those chaotic final months of the war the German population was caught in a permanent state of tension between destruction and terror, confusion and fear of the future. Using individual examples, the exhibition gives an overview of the various ways in which people behaved and acted at that time. After 1945, Hans Bayer became publicly known as a literary figure, journalist and celebrated Swabian poet under the name of Thaddäus Troll. He concealed the fact that as a member of the propaganda unit of the Wehrmacht between 1941 and 1945, he had reported from occupied Poland and covered the campaign against the Soviet Union. The exhibition depictes Hans Bayer's war experiences and provided insight into the reports that he wrote. It also described the establishment, tasks and impact of the propaganda unit. It showed that Hans Bayer not only had room to maneuver during the war, but used it. The exhibition revealed how the writer, who became so successful after 1945 and who never spoke about his time at war, was influenced by his experience as a war reporter. An exhibition of the Warsaw Uprising Museum under the patronage of Bronisław Komorowski, president of Republic of Poland, and Joachim Gauck, president of the Federal Republic of Germany. The exhibition presents the history of Warsaw after 1918 – a vibrant metropolis whose development was brutally interrupted by the Second World War. Special emphasis is placed on the 63 days of the Warsaw Uprising. The end of the exhibition shows pictures of Warsaw in the years after it was subjected to totalitarianism. The exhibition was shown at the site where from 1933 to 1945 the central offices of Heinrich Himmler’s SS state had been located. It was here that the fate of Warsaw and its residents was sealed: Hitler ordered the city to be completely destroyed after the start of the uprising. The exhibition included archival color photographs from the time of the uprising, text information, document facsimiles, audio recordings, and interactive and multimedia components. The Nazi persecution policies also targeted people who were sick or disabled. They were considered a burden on the German nation. Beginning in 1934, up to 400,000 people were sterilized against their will and more than 200,000 were murdered in mental hospitals and institutions. A central theme of the exhibition is the question of the value of life. Telling the history of exclusion, forced sterilization and mass murder, the exhibition presents victims, perpetrators, accomplices and opponents. In conclusion it examines how these events have been addressed since 1945. Exemplary biographies are presented throughout the exhibition. An exhibition catalogue published by Springer Verlag is also available. The Foundations Memorial to the Murdered Jews of Europe, the Topography of Terror and the New Synagogue Berlin – Centrum Judaicum have revised and extended the exhibition ”Fire!”, which was first shown in 2008, to coincide with the 75th anniversary of the pogroms in November 1938. The exhibition ”Fire! The 75th Anniversary of the November Pogroms in 1938” describes the heightened persecution of Jews in the Third Reich from June 1938 onwards and the impact of the wave of violence in November 1938 on Jewish communities, primarily in Berlin but also in many rural areas. A brand new section details what happened to the synagogues or their ruins after 1938. Examples from 26 locations illustrate different forms of remembrance in East, West and unified Germany, Austria, the Czech Republic and France, as well as in former German territories that are now part of Poland and the Russian Federation. The Topography of Terror Foundation, located on the site that had once housed the editorial offices of the Nazi newspaper Der Angriff (The Attack), has created the first comprehensive exhibition on the print media during the Nazi regime, presenting the foundations of the repressive press system and its influence on the development of the German press landscape. Thirteen selected newspapers (displayed as facsimiles) and journalist portraits illustrate the different journalistic strategies pursued by the newspapers and the leeway in action and thought that was available for publishers, journalists, and readers. The two exemplary chapters focusing on the Reich Party Congress in 1935 and on Goebbels’s Sports Palace speech in 1943 provide a comparison of the reporting in newspapers and magazines, as well as on radio and in the weekly newsreels. Wilhelmstraße and its surrounding area became the centre of German politics from the end of the 19th century. With all the main ministries and government offices based there, the name ”Wilhelmstraße” soon became a common synonym for the German government. Following Hitler’s appointment as Reich Chancellor on 30 January 1933, the Nazis moved into the government quarter. They made their imprint on it in various ways, moving new government offices there, restructuring existing authorities, carrying out extensive building construction and renovation, and even using the street itself as a political stage. The exhibition catalogue, published bilingually (German/English) under the same title, includes the major sections of the exhibition and further information on the history of Wilhelmstraße and the Ministries Trial. The exhibition showed that the physicians were involved in the killings were generally not concerned with painlessly ending the suffering of these individuals, but rather with “ridding” the public of “ballast existences” whose lives were extended only long enough “to serve science,” in accordance with Nazi racial ideology. An exhibition catalogue has also been published. The series of pictures shown here, which encompasses 42 photographs of the deportation of the Jews in Lörrach on October 22, 1940 and of the auctioning of property from their homes a few weeks after this public crime, is a devastating visual document of those events. The original negatives for both series, which were taken by a police officer, have survived. The scarcity of written records of these events lends particular importance to the visual sources, although they reflect the perspective of the perpetrators who commissioned the photos. They give us a very immediate sense of the atmosphere of these events, illuminating facets of the social history of this Nazi crime, which was only one among so many. They preserve in pictures the faces of those who were involved on the side of the perpetrators, but also demonstrate that this crime was, in part, committed publicly, in full view of numerous spectators. An illustrated catalogue in German has also been published to accompany the exhibition. A joint exhibition of the Topography of Terror Foundation, the Foundation Memorial to the Murdered Jews of Europe and the House of the Wannsee Conference Memorial and Educational site. Fifty years ago, in April 1961, the Jerusalem District Court opened proceedings against Adolf Eichmann, former SS Obersturmbannführer and head of section IV B 4 for “Jewish Affairs.” The trial became a major media event. But it was not only a single perpetrator in the Holocaust who was brought before the public eye. For the first time, descriptions by victims received attention around the world. In Jerusalem the era of contemporary witnesses had dawned. Eichmann’s appearance before the court also triggered discussions about the guilt and responsibility of individuals within the Nazi system. This exhibition, designed around the original film footage from the courtroom, was dedicated to these two aspects of the trial: witness testimony and the perpetrator’s strategy. An exhibition catalogue has also been published. The exhibition presents photos from a service album belonging to SS-Obersturmführer Karl Otto Koch that was found in the archive of the Russian secret service in Moscow. The album documents his career in the SS from May 1933 to mid-1937. In 1936 Koch took over the leadership of Sachsenhausen, the new concentration camp that was built as a “modern” concentration camp and model and training camp from which all the concentration camps were soon to be administrated and organized. Koch had previously served as commandant in the camps Hohenstein, Sachsenburg, Columbia Berlin, Lichtenburg and Esterwegen. A few Jewish photographers, commissioned by the Litzmannstadt “Jewish Council,” took thousands of photographs of almost every aspect of ghetto life. Nearly 12,000 contact prints have survived and are currently held in the Lodz state archive. Fifty large-scale photographs from the Litzmannstadt Ghetto – the name given to Lodz by the German occupiers in 1940 – are shown in the exhibition, making the little known photo collection accessible to the public for the first time. The presentation, designed as a traveling exhibition, is accompanied by statements from former residents of the ghetto and entries from the ghetto chronicle. A short overview of the ghetto’s history, a description of the photography as an historic source and information about the photographers provide an introduction into the exhibition. The photographs, officially commissioned by the “Jewish Council,” convey the Jewish photographers empathy with the ghetto inhabitants, clearly illuminating the ambivalence created by the ghetto inhabitants’ hopeless situation and their efforts to maintain their dignity and survive for as long as possible. The exhibition “Fire! Anti-Jewish Terror in November 1938” was developed in cooperation with the Monument to the Murdered Jews of Europe Foundation and the New Synagogue Berlin – Centrum Judaicum Foundation. The joint exhibition project that was planned for the 70th anniversary of the November pogroms in 1938 served to historically document the public attack on German Jewry that was carried out five and a half years after the Nazis came to power. A catalogue of the same name is available.